The SWAMI project is an H2020 European Union research activity coordinated by Deimos Space, started in January 2018 and lasting three years, aiming to provide an improved and comprehensive representation of the neutral atmosphere from the surface to 1500 km altitude by developing the new MOWA model, which is based on a coupling between existing models that represent different parts of the near-Earth space environment, and by exploiting new atmospheric and geomagnetic data. This project has received funding from the European Union’s Horizon 2020 research and innovation programme under grant agreement No 776287. 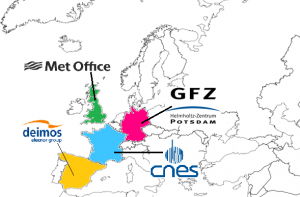 The partners of the project are Deimos Space, CNES, MetOffice, GFZ Postdam with the participation of the NOAA, NASA and UCAR as advisory board. Precise knowledge of location and motion of space objects is becoming increasingly important. The 250-800 km altitude range, which is in the thermosphere, hosts scientific and operational Low Earth Orbit (LEO) satellites and thousands of other LEO objects. LEO atmospheric operations require knowledge of the state of the thermosphere in the vicinity of the satellite orbit in order to calculate satellite drag effects to predict/compute the orbit and expected lifetime. For satellite launch and re-entry operations, satellite conjunction analysis, and maintaining the space debris catalogue we need to know the mean state and variability of the atmosphere from the surface to the LEO altitude. Drag affects satellite attitude control, orbit maintenance and decay, and ground-based tracking of spacecraft and debris. Key to estimating atmospheric drag is accurate modelling of the thermosphere (chiefly density) along the trajectory of the object. The air density exhibits a regular pattern that is controlled by the diurnal, seasonal and solar cycle variations of solar irradiance (Qian and Solomon, 2012), but it also undergoes irregular spatiotemporal variations of a few to hundreds of percent that result from space weather. 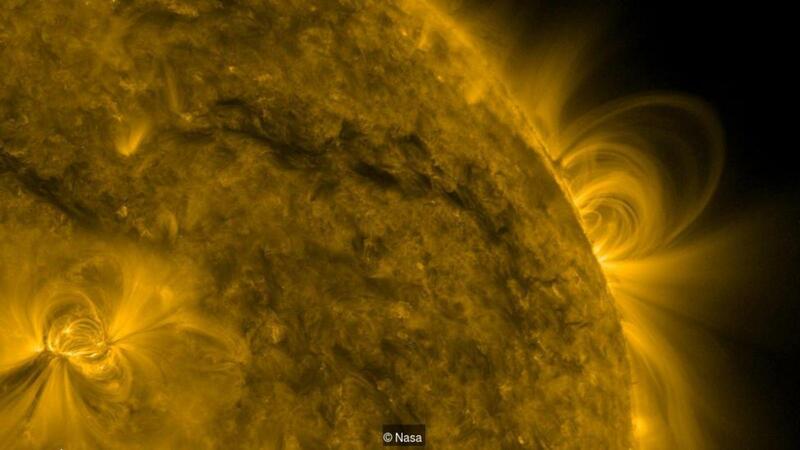 In the wake of intense solar activity, the air density at a given location and altitude can experience rapid and very large changes which induce significant local variations of drag forces. For instance, during the geomagnetic storms of October-November 2003 near 400 km altitude and at low latitudes, the air density was enhanced by 300-800% (Bruinsma et al, 2006). 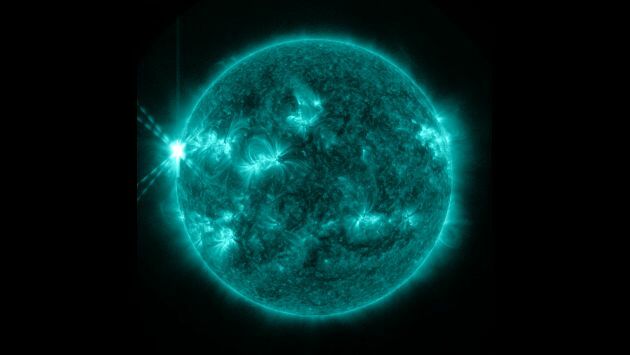 Increases in atmospheric drag due to space weather events can lead to large changes in the predicted position of objects in LEO. Survey and tracking of LEO objects is therefore an indispensable task for space agencies. Orbit determination methods are used to predict their trajectories hours to days ahead and to apply corrections on each occasion when the object is tracked, by radar most often. The tracking requires accurate orbit prediction in order to find the object at the right time and place, and not to waste time and resources on searching for an object in the vicinity of its estimated position. The re-entry region is loosely defined from 80-140 km. A controlled re-entry requires a change in the satellite orbit by means of engine burn in order to de-orbit it. To determine the position and the change in satellite velocity needed to de-orbit over a specific area (South Pacific most often), an as accurate as possible simulation of the re-entry is needed. This requires accurate knowledge of the mean density and the variability (i.e. uncertainty) along the final orbital revolutions. The ever-increasing amount of space debris poses problems to active satellites and for the International Space Station even more because collisions can have catastrophic consequences. In the near future, very large cubesat constellations will complicate operations even more. Currently, orbit predictions often are not accurate enough to determine whether a manoeuvre to avoid a collision is actually warranted. Conjunction analysis requires not only more accurate thermosphere models, but also accurate uncertainty estimates, which models currently do not provide. Large, inactive satellites are a type of space debris that re-enter the atmosphere uncontrolled and parts can actually reach the ground. The last uncontrolled re-entry was ESA’s GOCE satellite in 2013, which fortunately broke up above the Falkland Islands in the South Atlantic before reaching Argentina. Predictions of the re-entry interface at 80 km varied by thousands of kilometres even one orbit (i.e. about 90 minutes) before the actual event. Satellite launch operations require knowledge of the state of the atmosphere from the surface up to the LEO satellite altitude. Specifically, a better knowledge of the small-scale and local fluctuations in density and wind, i.e. space weather, in the 0-200 km altitude range are necessary in order to accurately estimate the aerodynamic forces acting on the launcher fairing as well as optimize booster performance. The fact that Europe has one of the leading launcher industries – Arianespace – with a variety of different launch vehicles, and that the launch cost of a commercial satellite to geosynchronous orbit can be as high as 80 – 100 M€, underpins the need for a precise representation of the atmosphere and the strategic importance of building a unified model and preparing the transition to operations. In this project, we will develop a MOdel of the Whole Atmosphere (MOWA). It shall be a blend of the first-principles Unified Model (UM, which is the UK Met Office operational numerical weather prediction and climate model), which will be extended up to ~170 km in altitude, and the semi-empirical Drag Temperature Model (DTM2013; Bruinsma, 2015) of the thermosphere, which covers the 120-1500 km altitude range. The blended model will span the 0 to ~1500 km altitude range.